I enjoyed Cathy's Quilts of Love novel, "A Stitch in Crime." This story is filled with mishap after mishap and keeps the reader guessing to the end as to who is behind the attacks and incidents that cause Thea's events to not turn out as planned. Thea is an interesting main character, she has a fascinating job and has also taken on the task of co-chairing this first quilt show extravaganza for her town, which has many smaller events leading up to the big ones. However, to Thea it feels as if she is doing it all on her own as her co-chair seems to be MIA a lot of the time and also to add to this stress she has to deal with old "friends" and their not so helpful advice and assistance as well. At times I felt distracted from the story and sidetracked by Thea's thoughts and there seemed to be this additional storyline going on that did not always flow too well with the main storyline. However, this did allow for me to really feel like I knew Thea and made her so much more real as well. I recommend this book and the others in this series as well for anyone who quilts or has interest in them; you will most definitely enjoy this series! About the author: Elizabeth Camden is the author of six books and a RITA and Christy Award winner. With a master's in history and a master's in library science, she is a research librarian by day and scribbles away on her next novel by night. Elizabeth lives with her husband in Florida. 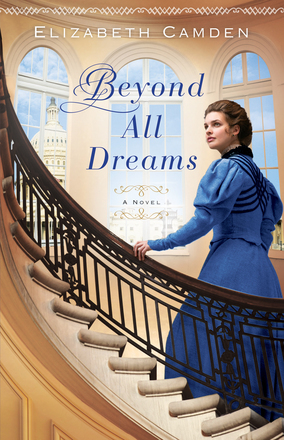 I absolutely love this latest book from Elizabeth Camden, "Beyond All Dreams" is my favorite novel by her! First of all, the cover is gorgeous; now I know you should never judge a book by it's cover, but I also love great covers and they definitely draw me to the book. However, the back cover of this book also drew me to it as well as it is a great description and teaser for the story that I had to start reading as soon as I received this book in the mail! Anna works as a librarian in the Library of Congress (seriously how awesome is that! ), and that paired with the time period and a handsome congressman, who wouldn't be drawn to this book?! This was such an enjoyable read to me as the storyline was so fascinating with the mystery woven throughout the romance against a great backdrop. Elizabeth writes with such detail that I felt as if I were a part of the story. If you enjoy historical fiction, then this is a book to read and also Elizabeth Camden is an author that cannot be missed as she is one of the top five historical fiction authors in my opinion. To read other reviews that are included on this blog tour, go here! I have so enjoyed Cathleen Armstrong's A Place to Call Home series! 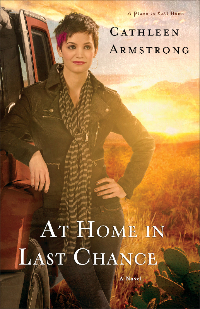 If you have not read the first two in this series, read them before starting her latest "At Home In Last Chance!" This one can be read as a stand-alone novel, but really you will appreciate it and love it even more if you have read the previous novels in the series. I was so happy that Kaitlyn got her own book. Kaitlyn was a frustrating character for me in the last novel as she made some choices that I hated, but yet I also felt bad for her and wanted her to hopefully realize what she was doing and be given the chance to "redeem herself." I love how easy it is to get back into this series even though it has been months since I was last in Last Chance; Cathleen does an amazing job with drawing the reader right back into this town and into the characters' lives once again. The diner has been such an important place in each of the three novels and helping the characters to really find their footing and their home and I love this! I highly recommend this book and series if you enjoy a feel-good read and honestly who doesn't?! "A Good Food Day" by Marco Canora with Tammy Walker, with a Foreword by Tim Ferriss is an excellent choice for a cookbook to buy if you are looking for one on good, clean eating. What I love about this book is that it shares tips and recipes for those just starting out. For example, quinoa has been becoming increasingly popular; however this is not something that everyone is familiar with so there is information included on the basics of this and cooking it in general. There is also a section that has 10 principles for a good food day and also another on pantry staples; I found these two sections to be great additions to this cookbook as they are so useful. Then of course the recipes - there is a nice variety of recipes included in this book and the illustrations going along with them just make me want to cook! I highly recommend this cookbook to help you get on track with healthy eating and to have a good food day everyday! 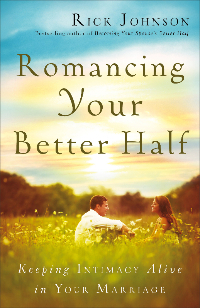 The latest book from Rick Johnson focuses on strengthening marriage and keeping intimacy alive at all levels within a couple. Rick begins with a section on marriage in general, then moves into specific areas, such as love, intimacy, sexuality and his and her needs. This book is very straight-forward and easy to get into and read. I love the use of bulleted lists and charts throughout the chapters as well as the tips that Rick ends the chapters with. 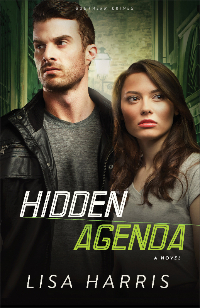 "Hidden Agenda" is book 3 in Lisa Harris' Southern Crimes series and this is such an exciting continuation of the series! Michael has been presumed dead; however he has been working undercover and now his cover has been blown. Michael finds himself running from more than one person and threat. Corruption and evil and secrets abound in this story and people and relationships weave together creating a tangled web. This is a fast-paced read that is full of suspense and also sweet romance as well. I enjoyed this story and getting to spend time with some of these characters once again. This is a story that you will not want to stop reading once you start as it is THAT good! Thomas Locke is a pseudonym for Davis Bunn, the award-winning novelist with total worldwide sales of seven million copies. His work has been published in twenty languages, and critical acclaim includes four Christy Awards for excellence in fiction. He divides his time between Oxford and Florida and holds a lifelong passion for speculative stories. Davis's screenplay adaptation of Emissary is currently under development as a feature film with a British production company. Learn more at www.tlocke.com. I enjoyed "Emissary," and it transported me to another world, a fantasy world filled with kings, elves, magic and good vs. evil. I found this to be an exciting story and journey to join Hyam on. I only recently have gotten into this genre and I have to say this may very well be my favorite book of this kind so far! It is written in a style that is so easy to read and follow although it is not my typical genre. I highly encourage readers to step out of their comfort zone as far as what they read and try this, I doubt you will be disappointed. I am looking forward to book 2 in the series! "The Song," written by Chris Fabry, is a story that is based on the Song of Solomon and one that will captivate the reader. Jed has always lived in the shadow of his father, and has wanted to do his own thing. Jed finds his inspiration and is able to do that, but as happens to some people they find themselves at the top to only fall and this happens to Jed. I love the parallel with this story and the Biblical account; I think Chris did an excellent job with the connections with his characters, emotions and the series of events that occur. In life there are ups and downs, temptations and successes and things along the way that may be derailing, and this is shown in Jed's life as well. I highly recommend this book to be on your to read pile for this year! I always feel like I am being careful with my money; however it is not enough as I feel as if I am not saving any money and instead just spending, spending, spending. Therefore, I was so thrilled with the chance to read and review Mary Hunt's latest book, "The Financially Confident Woman: what you need to know to take charge of your money." Just the title alone told me that this was a must-read for me, especially when I saw that Mary was the author as I have read a few other books by her and I feel as if I learn so much. This book begins with a self-examination section which immediately caught my interest and drew me into this book. Next, Mary shares roles and myths that are commonly associated with money and finances. The next section goes into detail about 9 habits that confident women practice, these are wonderful and habits that I am aspiring to create. Lastly, a 6-week plan of action is included which is practical and hands-on. This is a straight-forward book that is filled with tips and practical advice. I highly recommend anyone whom is hoping to make changes in her life financially to get this book as it is an extremely useful resource and one that I will be referring to many times in this coming year! "The Life-changing Magic of Tidying Up: the Japanese art of decluttering and organizing," written by Marie Kondo, is a must-read for anyone and everyone who wants to maintain a neat, organized home. Marie shares so many good ideas and thoughts throughout this book in order for people to once and for all have a home that is organizes and easy to maintain as well as live a meaningful life. I found myself highlighting so many parts of this book while reading as there are so many points that really spoke to me. Near the beginning of the book, Marie states that organizing is not something that is really taught and passed down such as cooking skills and recipes are and yet this is something that does need to be taught. Marie shares her tips including the order of organizing things, for example, starting with clothing. Also, another point that makes so much sense to me, but one that I have not really practiced before is to organize by type not by location, meaning gather all of the same thing together and sort through them, deciding what to toss and what to keep. Also, I loved that Marie reminds the reader that this is an intense process and usually takes about 6 months. This is something I have to remind myself as I am a person who gets into a cleaning mode and just wants to finish and have everything done. I feel not only motivated, but also prepared to really focus on decluttering and organizing now thanks to this useful book! ***"I received this book from Blogging for Books for this review." 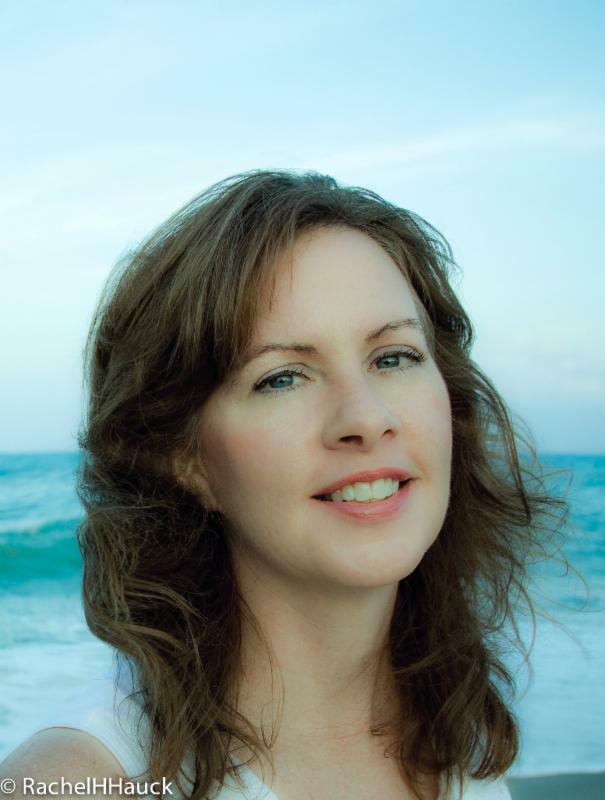 Gina Welborn is the author of several novels and novellas, including The Heiress's Courtship. 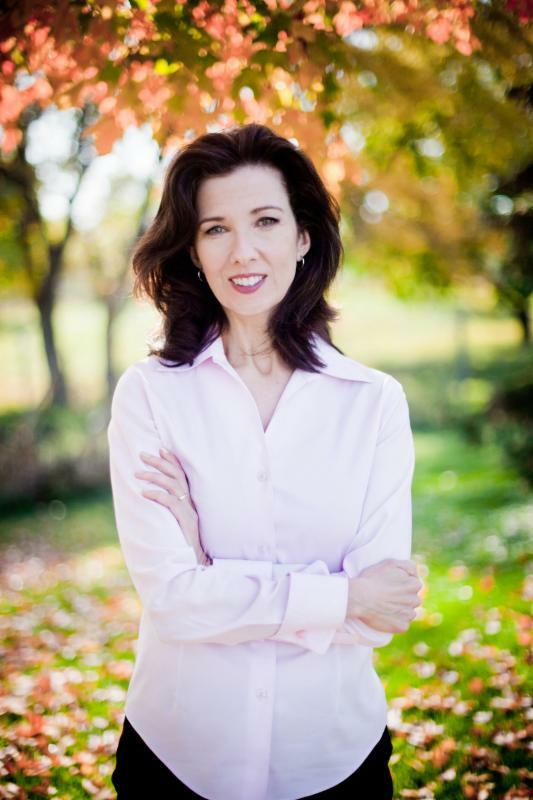 She is a member of American Christian Fiction Writers; the president of Faith, Hope and Love; and a founding member of InkwellInspirations.com. She lives in Cache, Oklahoma, with her pastor husband and their five children. Visit her online at GinaWelborn.com. I really enjoyed the latest Quilts of Love story, "Masterpiece Marriage." Gina tells a sweet love story that has so many elements and aspects woven in together. Zenus and Mary are both seeking for help and guidance and go to Priscilla as she seems to be the key to the answers they are seeking and the way for them to reach their goals. However, things do not go exactly how they wish. Each person has his or her own opinion and his or her own agenda and wishes and mix in the history that is between the characters and their current relationships and all of this ties together creating a great story. The cover to this book is excellent as well as it is gorgeous and ties in the various pieces of the story nicely with the tomatoes and the looms. This is a historical fiction story that will transport the reader back into a different time period and yet the characters still struggle with similar issues as today, such as being faced with decisions to make in regards to work, dealing with insurance, jealousy among family members and lost love. About the book from the publisher: Ginger Winters is a gifted hairstylist with scars no one can see. The last thing she expects from the New Year is a new chance at love. Almost. Now that she's back home in Rosebud, Alabama and running her own salon, the truth remains: Ginger is still that girl, forever on the outside looking in. But she needs her confidence this weekend. She's the acclaimed "beauty-maker" for the Alabama society wedding of the decade. When high-school crush Tom Wells Jr. also returns to town and shows up at her shop looking for a haircut, Ginger's thinly veiled insecurities threaten to keep her locked away from love, Despite Tom's best efforts, Ginger can't forget how he disappeared on her twelve years ago and broke her heart. Can she ever trust him again? "Hauck writes with an authenticity that is hard to find." "This is classic romance at its very best." "I have become the biggest Rachel Hauck fan! Not only from working with her in writing my books, but just reading her stand-alone novels! She is truly so smart, witty and seems to have a direct insight to human nature and our emotions. She knows the right things to say that always confirm what I'm feeling, and I'm sure many many others too!" 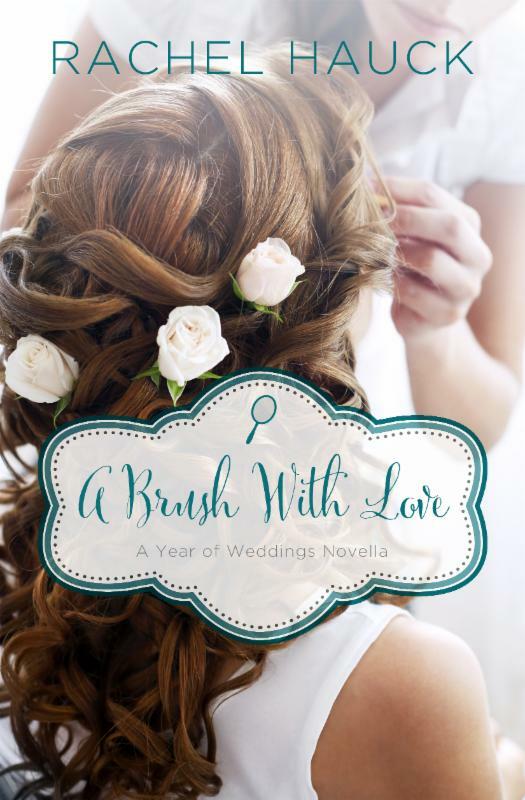 I really enjoyed Rachel Hauck's novella, "A Brush With Love," and this was such a sweet love story that was filled with healing. Ginger has lived with scars for so many years and has hidden them and also held herself back from truly living her life. Ginger is forced to face past hurts and she learns the truth; this results in healing for Ginger and her relationships. This is an excellent read to start the year off with as this time of year is usually a time for do-overs, a fresh start and a thorough cleansing and time for healing and moving on.